"Mother tongue" in Manchu. 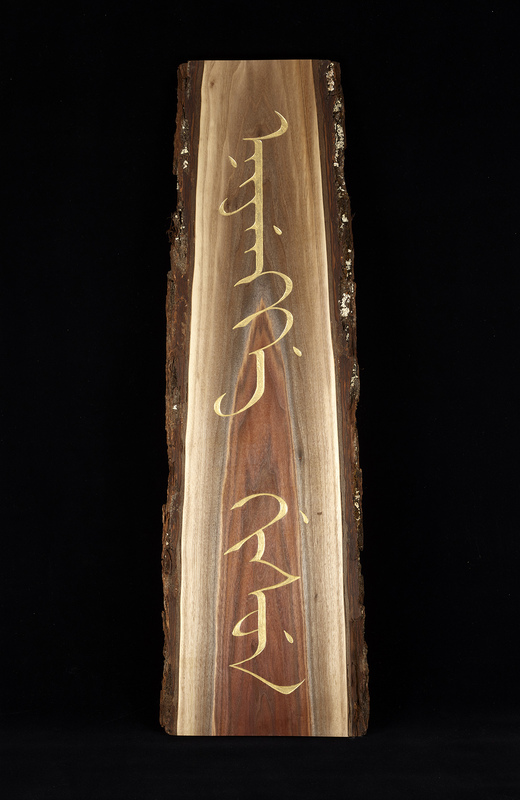 Carving by Tim Brookes. Photo by Tom Way. 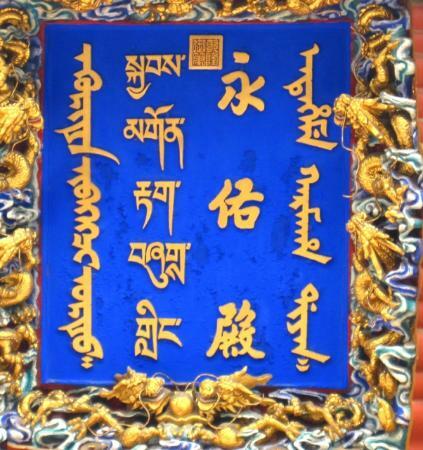 The striking vertical Manchu alphabet was essentially created in 1599 when the Manchu leader Nurhaci commissioned a script based on the classic Mongolian lettering of Genghis Khan. His aim, presumably, was to claim historical legitimacy, given that his ambition was to be an emperor of vast territories like the great Khan–a sign that the sheer look of a script may be as important as the meaning of its words. It’s also possible he wanted a script whose very look, thanks to its graphic ancestry, struck fear into his enemies. By 1644 the Manchus had conquered China and founded the last great dynasty, the Qing, which lasted until 1911. 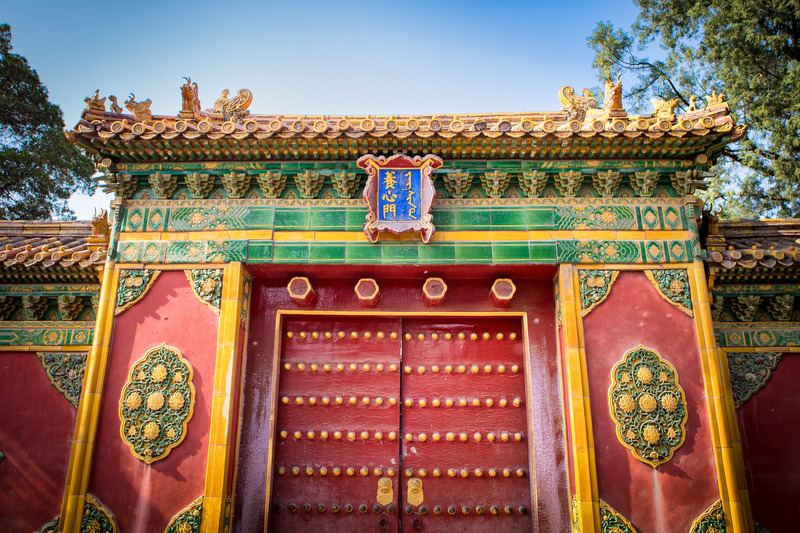 For the first 200 years or so of the dynasty, Manchu was the main language of government in China and served as a lingua franca. But then something almost unprecedented happened. 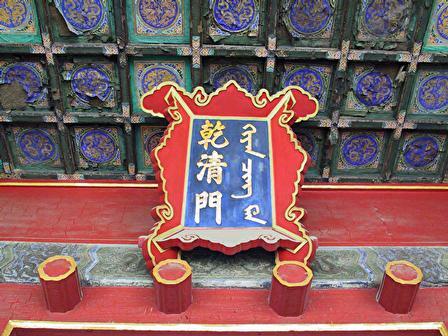 Maybe the Manchu language started to seem too provincial, maybe the script’s historical associations started to seem old-fashioned or even barbaric. 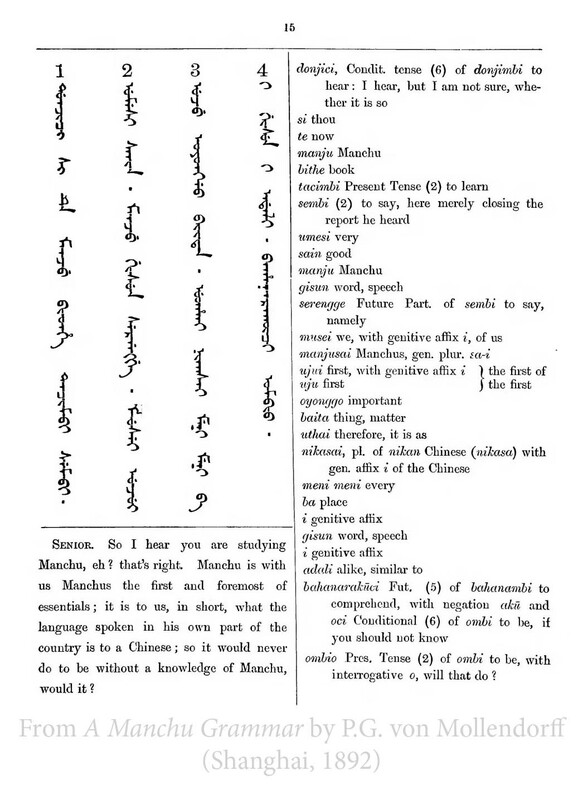 For once, though, the language (and script) of the governing class yielded to the language of the governed, and during the eighteenth and nineteenth centuries Manchu was increasingly replaced by Mandarin — even though Qing officials demanded as recently as the beginning of the twentieth century that, in the army, voice commands and marksmanship tests should be carried out in Manchu, presumably to test loyalty as much as to preserve tradition. By the end of the twentieth century, though, the Manchu fall from grace was so complete that fewer than two dozen elderly people in a village in Heilongjiang and a few more in Heihe still spoke Manchu, though one or two schools and colleges offered the language as an elective. A few Sibe, living along the Korean border, also speak and (sometimes) write the Manchu-like Xibe. 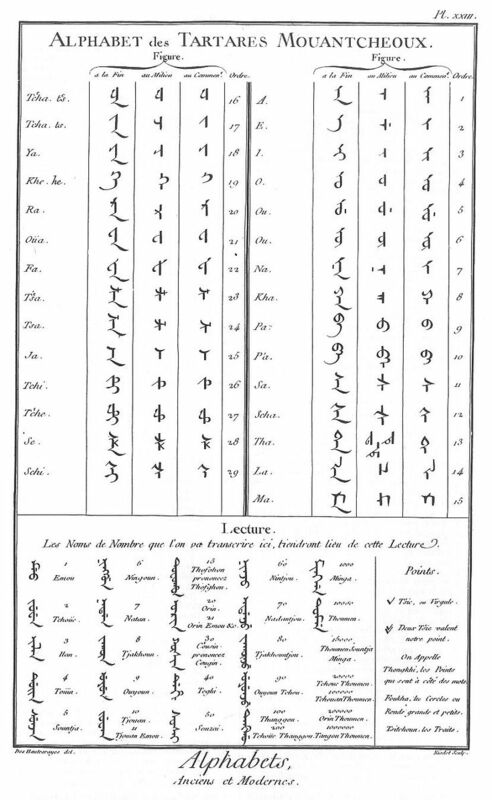 For centuries, the Qing ordered their vassals the Sibe, whom Nurhaci had defeated en route to becoming emperor, not only to fight but to carry out massacres and support genocide, the relationship growing so close that the Sibe came to write their own language, Xibe, in a close variant of the Manchu script. An alphabet that had been designed for its military overtones seemed to bring its past with it. The Sibe also supported the Qing against the Russian Empire’s expansionism on China’s northern border. One historian claims that the Sibe were so “well known to Russians moving toward the Pacific” that the Russians named Siberia after them. 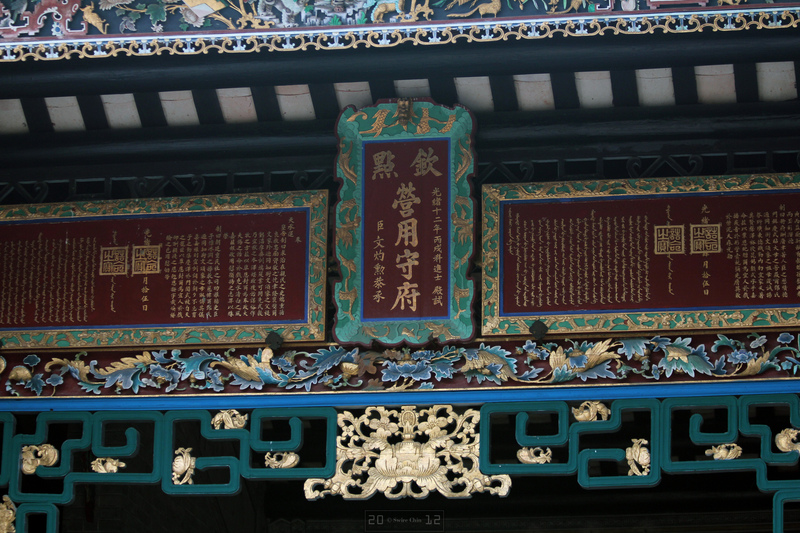 The astonishing "Red Manifesto" printed in Beijing in 1716. 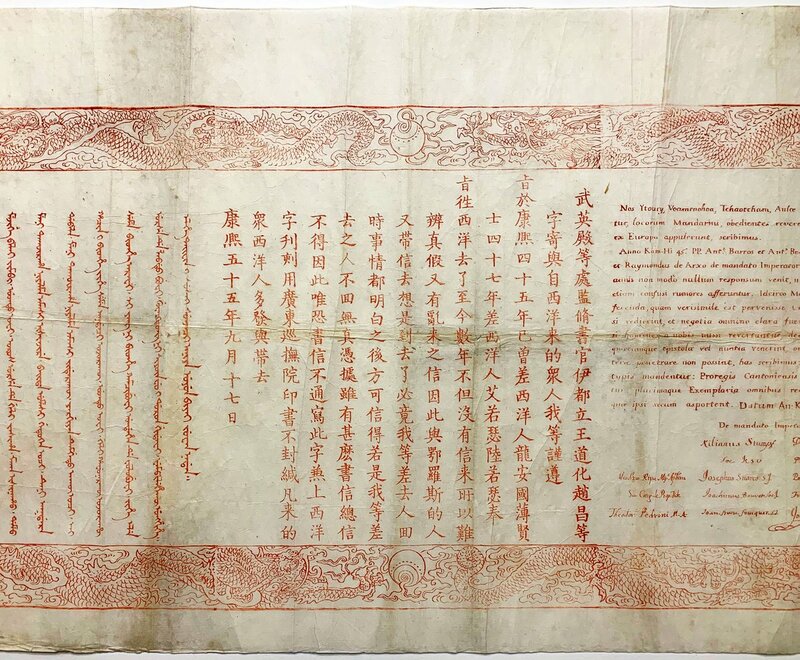 A broadside in THREE languages - Chinese, Manchu & Latin - printed in red ink on mulberry paper, on the orders of the Kangxi Emperor. Copyright reserved Incunabula group.